And probably even better to drive too. By most counts, the Range Rover Sport SVR is a properly outrageous performance SUV. Anything with a 550-hp 5.0-liter supercharged V8 under the hood and the capacity to sprint to 60 mph from rest in under 4.5 seconds is already something to keep a close eye on, and the fact the SVR combines this searing pace with a delightful handling balance and lovely interior furnishings only helps to sweeten the deal. For some, though, the standard SVR isn't enough, which is where the new Overfinch Supersport comes in. 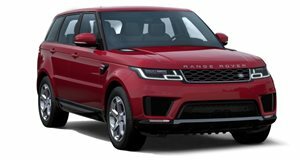 Though Overfinch isn't quoting any performance statistics, the Supersport should be noticeably faster than the Range Rover Sport SVR on which it's based. A lot of these performance gains should come about primarily through the impressive weight reducing parts that turn an SVR into a Supersport. At least 47 lbs is cut through the adoption of lighter wheels and a new titanium exhaust system, and even more mass should be shed through Overfinch's extensive use of carbon fiber on parts like the hood, rear valance and front splitter. It won't make the Land Rover a lightweight track toy, but the weight reduction will be very much appreciated by the Supersport's affluent owners. And they will definitely have to be wealthy, as the work done by Overfinch doesn't come cheap. Convert the car's British price of 179,990 GBP into US dollars, and you're looking at a car that costs 12 grand shy of a quarter-of-a-million bucks. If you want to own a Supersport in the 'launch' spec you see in these pictures, you'll need to fork out roughly $260,000. Make no mistake, it's serious money, but the Overfinch Supersport is a serious car that, as a result of being limited to 25 units, will remain an incredibly rare sight on the roads. Hopefully the Overfinch is as amazing to drive as it is exclusive.